The Commission, wary of another homegrown dictator, clipped the powers of the President. The power to declare martial law was diminished forbidding the President from padlocking Congress and categorically allowed the latter automatic review. Its declaration, including the less draconian suspension of the writ of habeas corpus, is made subject of, not only legislative oversight, but also judicial scrutiny. The power of appointment was delineated. Even its power of control and supervision over executive departments and local governments were diluted. In sum, the presidency’s power to enforce the law does not depend on the conscience of the executive because history taught us that there are presidents who have no conscience. Cory, in all her good faith or naïveté, gave the Judiciary the all encompassing power of judicial review. The President implements the law alright, but the Courts breathe down his neck. The law on Political Question has gone Jurassic. The two houses of Congress have been humiliated as well when by the slight invocation of executive privilege in case of a government official or right to privacy in case of a private individual, their power to inquire grinds to a halt. Let the two giants of the Executive and the Legislative tangle in the arena of political passion for all we care so long as the dispassionate Court looks in amusement and later disquisition. Politics anyway is their raison d’etre. The Judiciary from the point of view of the weary commissioners of Cory Aquino can be relied on as the umpire, in all climes and times, of righteousness. This unelected branch has the potential of being the conscience of the nation, or so they thought. Justice Roberto Concepcion advanced his invention that is the Judicial and Bar Council. He said that he had seen all his life the influence of politics in the appointment of judges and justices in the sieve that was the Commission on Appointments. Thus, his first order of business was to insulate the review of appointments to the judiciary away from prying eyes of Congress. As things now stand, the Judiciary is an island by itself that can track its own destiny. The Davide Court has declared the impeachment proceedings against Chief Justice Hilario Davide unconstitutional. Still, the Davide Court shepherded Republic Act 9227 authorizing a further increase in filing fees to be used as “Special Allowance for Justices and Judges” (SAJ). As of November 2006, SAJ effectively doubled the judicial salaries. Justice Gregory Ong’s appointment to the High Court was stopped on its tracks by the Puno Court. The Ombudsman was ordered to conduct criminal investigation against the Chairman of the Comelec, a co-equal constitutional body. All these were never lost to the predecessor of President Noynoy Aquino. She saw the interplay of the three branches of government and by pushing the right button, a mark of cunning and intelligence, she can personally use it to the hilt. Was she a victim of the Courts? In a closely divided Supreme Court her constitutional initiative was log rolled by Justice Tony Carpio. Her invocation of the much lamented executive privilege via an executive order wrangled by the besieged Romy Neri before the Blue Ribbon stymied the Committee momentarily but clinched a modified High Court ruling that the privilege as invoked is not absolute. Nonetheless, in a sexed-up ratio, the Supreme Court allowed Neri to zip up on some esoteric judicial fiat that the President has the peculiar right to implement the law and thus has some right to confidentiality, or whatever that means. She saw her majority in the High Court ebbing. With the power of appointment, she tried to spirit in a dyed-in-the-wool gofer, Agnes Devanadera. She was however foiled by what remains of genteel members of the JBC. Devanadera, with nary delicadeza in her veins sat it out as member of the JBC while acting as Justice Secretary and a Supreme Court justice aspirant at the same time. The ex-president bid her time. And as FVR’s appointees retired one after the other, she has the High Court at its balls. Finally, before her time expired, she packed the High Court with her kindred souls. Once a Supreme Court justice has taken his oath of office, a patriot is born: that is what her former mouthpiece Bobi Tiglao wants us to believe. Tiglao, who wanted his ambassadorial post extended but was rebuffed by the sitting President, is ignorant of the environment of judicial appointments. Starting from FVR watch, thousands have applied in the judiciary. In one single vacancy, that of a justice in the Sandiganbayan, 58 bidders wait in the wings. This was not lost to GMA and of course her husband. No doubt, majority of these contenders are worthy of the seat, but a sizeable number are toadies of the appointing power. The probability of winning in jueteng is better than landing in a judicial post. Faced with these impossible hurdles, not dissimilar with lotto, the lesser aspirant is willing to sign a contract with the devil. Prior to the release of appointment papers, the appointee has to make a pilgrimage to the Palace, to memorize at heart the stipulations of the contract. Some legal minds of the sitting President know this precedent. Are they now poised in applying it to brace political clout? The sitting President is caught in the ironies of it all. All he wanted, just like her late mother, was to pay homage to the Rule of Law. GMA’s natural instinct to survive compromised the stability of our cherished institutions, the Judiciary as one of them. By packing it with lesser mortals, we see judicial precedents unsettled. We saw it in the League of Cities case. The “elective-appointive” distinction case. The most telling ruling amounting to culpable violation of the constitution was when the midnight appointment of Justice Renato Corona vice Chief Justice Reynato Puno was upheld by its majority despite the clear language of the Constitution. Now, the GMA Court is in massacre mode. Executive Order No. 1 is placed in the freezer. P-Noy’s Truth Commission suffers a sore throat. The Ombudsman Impeachment case is embalmed. She does not have to deploy her mercenaries in Congress with the likes of Danilo Suarez, et al. 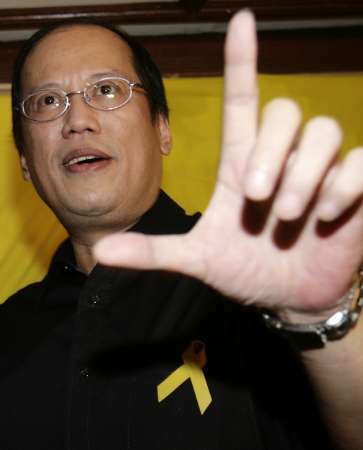 to derail the P-Noy train. All she has to do is to send demand letters for specific performance among her chosen magistrates. Let these justices stay in the trenches oblivious of the mortars of plagiarism. They were meant to be mediocre after all. Being pedestrians in the judiciary and law practice, these appointees are out to wreck the institution. In the mean time, the sitting President suffers from political diabetes, his internal organs are progressively nicked one after the other while her predecessor smiles the smile she wore when they rode together on the way to his inaugural. Something has to be done like impeachment perhaps? PreviousKULIGLIG IS A WORK OF GENIUS!